There are things you can do now before the the FDA meets that could help ensure that the decision comes down in the favor of people suffering from ALS. 500,000 people need to sign the Petition for the government to take us seriously, and right now it is over 259,000+. Tweet directly to the FDA and tell them you stand with the ALS community and support approval of GM6. Numbers are provided in the above video. Email the FDA directly to voice your support. The people at the FDA are the same as people all over the world. They have hearts. They feel empathy and compassion like everyone else, and explain why you feel that potentially life-saving treatments need to be made accessible to people with ALS now. Remind the FDA that GM604 has a very strong indication for efficacy and a huge indication of safety — it’s a “no-brainer”. Please email: druginfo@fda.hhs.gov and copy FDA Commissioner Margaret Hamburg: margaret.hamburg@fda.hhs.gov & Dr. William Dunn: william.dunn@fda.hhs.gov & Dr. Stephen Ostroff: stephen.ostroff@fda.hhs.gov (Make sure to keep it polite and professional–remember we are asking for their help. UPDATE: This years event will be on Father’s Day, Sunday, June 21, 2015 at 8:45 AM. See April Blog post for details of this year’s event, and the night full of fun at the MIU Trenton Comedy Fundraiser. MARK YOUR CALENDAR! The Run for the Ribbon 5k Run/Walk is sponsored by MIU (Michigan Institute of Urology) Men’s Health Foundation, benefiting Prostate Cancer Survivorship. This annual benefit will be coming up again this spring and I will be posting the exact time and date as soon as it becomes available. In the meantime, read about the 2014 event. 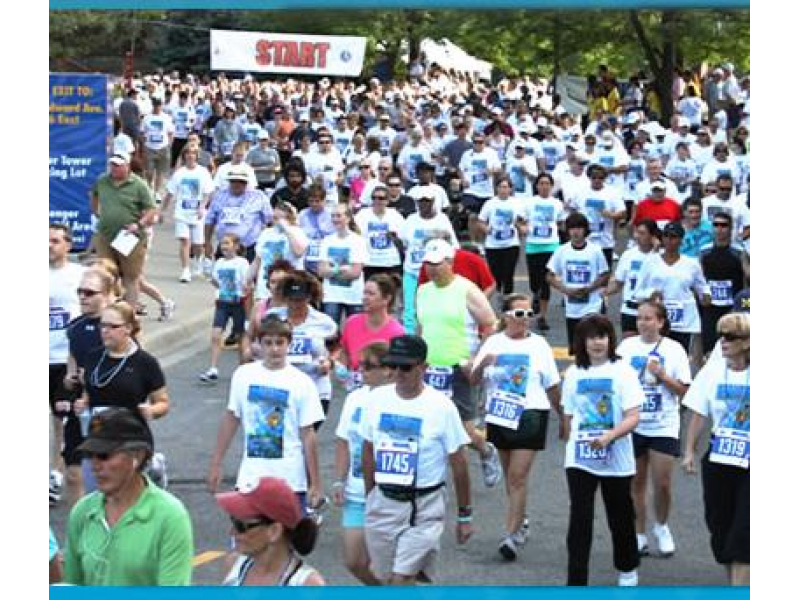 Over 2,000 participants will enjoy a T-shirt, medal and free entry to the Detroit Zoo following the Race. Register Early and Save! Create a team with family and frineds! What can be a better way to celebrate Father’s Day then to support our son’s, husbands, fathers, and grandfathers by rejoicing in their Prostate Cancer Survivorship Benefit, or helping other men in the future. Survival International is the only organization that champions tribal peoples around the world. They help them defend their lives, protect their lands and determine their own futures. Tribal peoples have developed ways of life that are largely self-sufficient and extraordinarily diverse. Many of the world’s staple crops and drugs used in Western medicine originate with them, and have saved millions of lives. Even so, tribal peoples are portrayed as backward and primitive simply because their communal ways are different. Industrialized societies subject them to genocidal violence, slavery and racism so they can steal their lands, resources and labor in the name of ‘progress’ and ‘civilization’. “CitizenGO is community of active citizens who work together, using online petitions and action alerts as a resource, to defend and promote life, family, and liberty. We work to ensure that those in power respect human dignity and individuals’ rights. Do you want to change the world? Thousands of like-minded people will help you! With CitizenGO’s online petition platform, you are able to send your petition to decision makers in local, national, and international government bodies and businesses. Likeminded individuals from all over the world will join you in winning your cause. CitizenGO is a community of active citizens that seeks to promote the participation of society in politics. We are a communicty of 2,215,166″ as of March 3, 2015, and growing every day! The International Fellowship of Christians and Jews – Promoting understanding between Jews and Christians and broad support for Israel and other shared concerns. This group brings the latest news concerning conditions in Israel, study of the Old Testament, Jewish traditions, and stories on how Christians and Jews are working together. Click on the following links to help the Tibetan people. We can succeed in helping them by signing their Petitions and writing to governmental organizations, just like we did for the Awa people. Uncontacted peoples must have the right to decide whether to live in isolation or not. But in order to exercise this right they need time and space to do so. 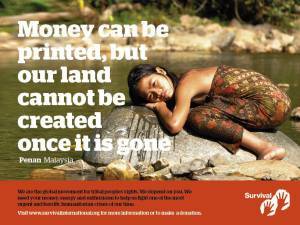 They will only survive if their land, which they have a right to under international and national law, is protected. They should be allowed to live in peace, free from fear of extermination and disastrous contact. Contact should only happen when and where isolated peoples decide that they are ready for it. The Machco Piro are a hunter-gatherer tribe who live in the Amazon forest. 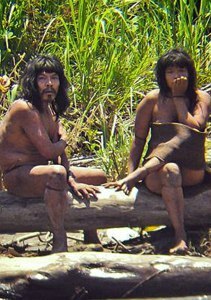 They were one of several tribes designated by the government as ‘uncontacted people’. The government forbids direct contact with them because the tribes’ immune systems are not thought to be able to cope with the type of germs carried by other Peruvians. The Machco-Piro are an indigenous tribe of nomadic hunter-gatherers who inhabit the remote regions of the Amazon rainforest. They live in Manu Park in the Madre de Dios Region in Peru. They have, in the past, actively avoided contact with non-native people. Choosing instead to live in voluntary isolation in Peru’s south-eastern Amazon. A webpage was launched in 2012 by Survival International to save the Awá. Two years later, in April 2014, Survival, the Awá and their supporters celebrated as the campaign scored an unprecedented victory when the Brazilian government sent in troops to expel the illegal loggers from Awa land. These people were forced from their land, huts set on fire, but now they are back “home” and safe – and that is what activism is all about. 57,377 of you sent messages to the Minister of Justice.